FTC Compliant Disclosure: I was sent a copy of this book by Page Street Publishing Co. to facilitate this review., however, all opinions expressed below are entirely my own. 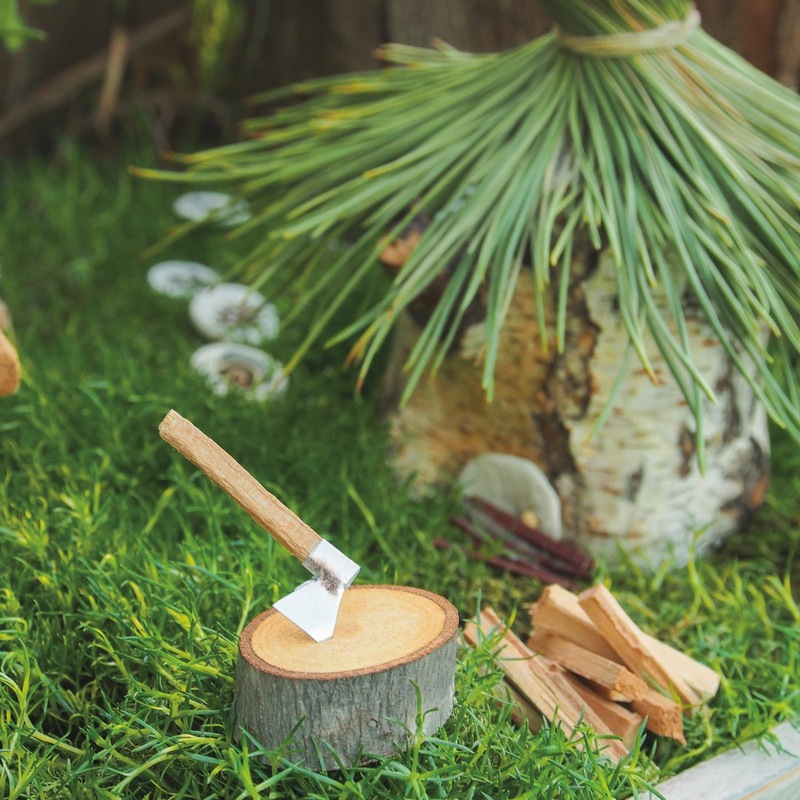 Dear lovely readers -- I have been in on a secret for a few months and am excited to share some ever-so-lovely fairy sized news with you today. Donni Webber of the blog The Magic Onions has written a book: Magical Miniature Gardens & Homes. 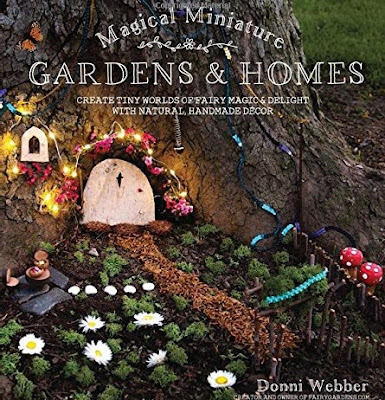 If you are a reader of The Magic Onions, then you're already aware that, since 2010, Donni has been our ambassadress to the magical realm of fairy gardens. You can click HERE to see the enchantments which Donni has wrought & inspired. 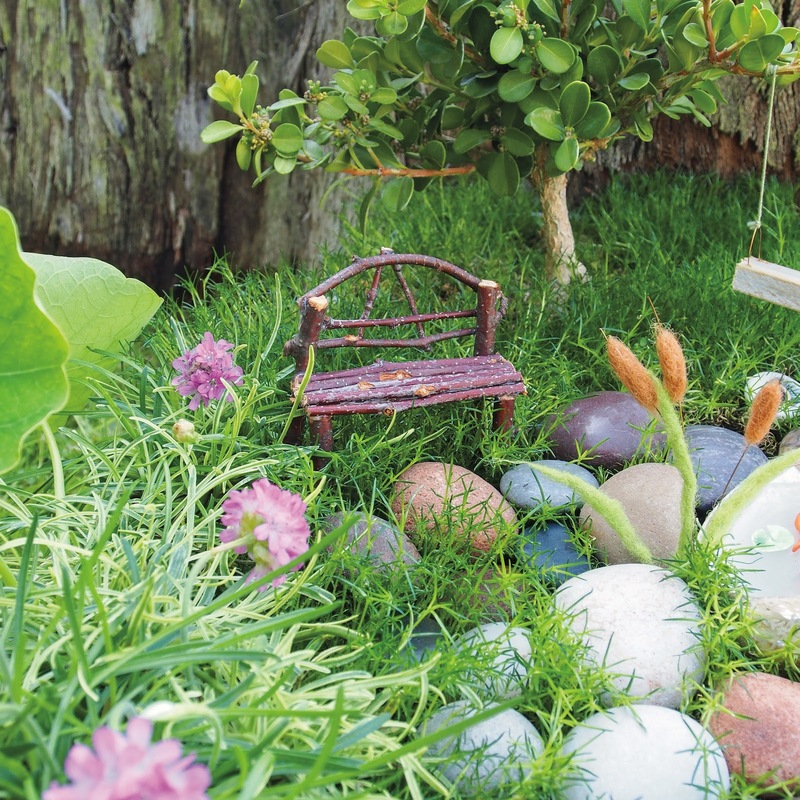 Who then would be better qualified to write a book on the topic of tiny, magical gardens? What I love best about this book, and what I feel makes it unique, is that Donni explains how to make everything instead of relying on purchasing pre-fabricated items. 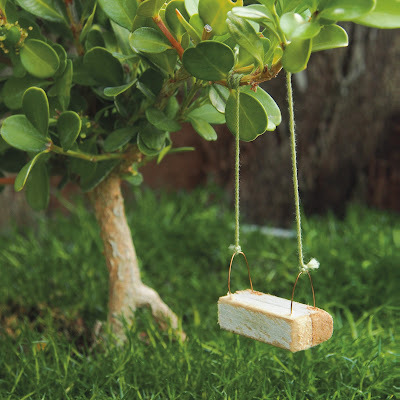 The book contains instructions for making everything from bedsteads to benches, toadstools to wishing trees; and while these gardens might look intricate, each item, for the most part, can be constructed from objects and craft supplies you might already have lying around the house. Moreover, Donni's instructions are so very clear and uncomplicated for making each tiny item, that crafting is fun as opposed to intimidating. Bravo to Donni and the editing team at Page Street Publishing Co. for putting together a book in which the crafts are accessible to children and which sparks their endless capacity for creativity (the book is wonderful for adults who love delving into imagination, too!!). Now for the give-away. 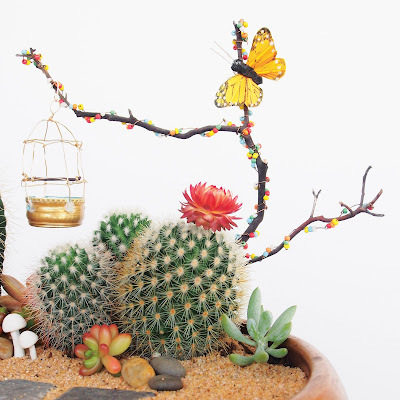 Please leave a comment below for an opportunity to win a copy of Magical Miniature Gardens & Homes (and just for fun, if you wish, you might, in your comment say what your name would be if you were a fairy). I will choose a winner via random number generator on Monday, December 5th. Note: unfortunately, due to the high cost of international postage, this giveaway is only open to residents of the US and Canada. 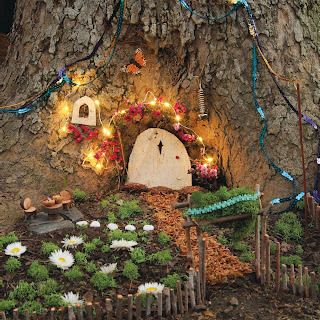 Thank you to Donni for creating such a wonderful book and opening the fairy realms to all. Thank you also to Page Street Publishing for spreading fairy magic and for kindly offering a copy of this gorgeous book to my readers. Comments for this post are now closed and a winner has been selected for the give-away. Thank you for your interest!